A couple of years ago, I had the unfortunate experience of living a floor below someone who was heavy-footed. I expected some standard level of noise in an apartment/condo style of living, but he really took things to another level. It was like giant but gentle elephant feet meets the pounding force of a gorilla. I called him a “stomp-er”. I know he didn’t do it intentionally, but oh my lord, the incessant stomp, stomp, stomp became grating over time. I might have developed sound sensitivity as a result of his stomping. I am at work most of the day, and all I wanted was some peace and quiet when I get home. Was that too much to ask? Talking about it didn’t help. I needed a way to re-claim the peace and quiet I desperately needed. So, I bought earplugs. Lots of them in various sample sizes. The disposable kind. The reusable kind. I checked out the foam version, and the silicone version. I felt like I was some sort of mad scientist. It’s never truly comfortable to have something in your ears while you sleep, but are any of them effective and still comfortable enough? 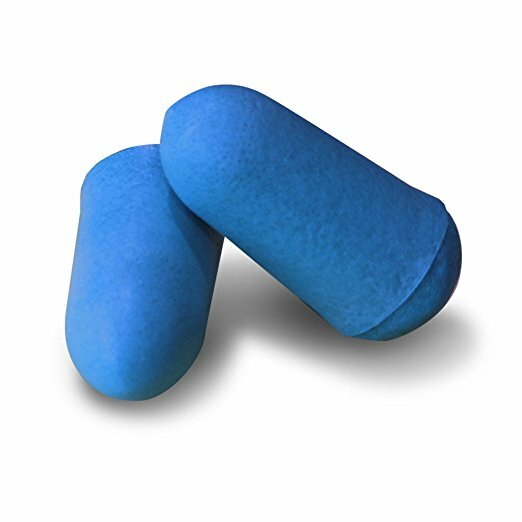 These soft, hypoallergenic, disposable foam earplugs have one of the highest NRR rating (noise reduction rating). It worked for blocking out the stomping (and most ambient) noise, and the quality of the foam was comfortable enough. I wouldn’t recommend wearing ear plugs all the time. Still, these earplugs are a god-send if you need to catch some nap or quiet time, whether you’re traveling on a long flight, at the airport, or at a hotel. Fortunately, I no longer had to wear earplugs. The “stomper” neighbor eventually moved out and someone else new moved in. Thank goodness they are not heavy-footed. Or, at least they are considerate enough not to stomp knowing there are neighbors living below them. Related: If you suffer from ear pain due to air pressurization during descent, check out EarPlanes. The post The Best Earplugs for Sleeping appeared first on TravelUpdate.